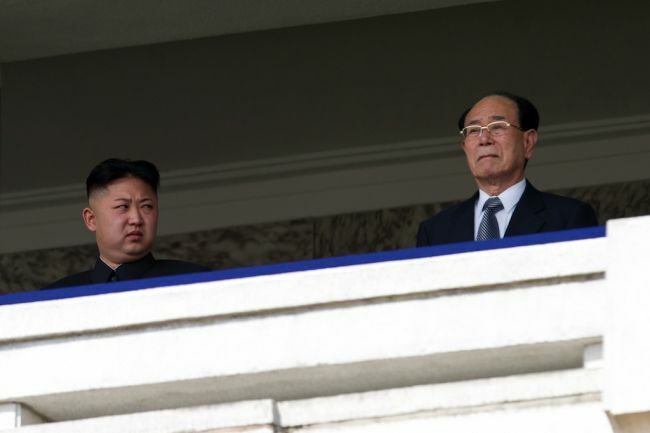 North Korean leader Kim Jong-Un (L) looks at President of the Presidium of the Supreme People’s Assembly of North Korea Kim Yong-nam (R) during a military parade. There are unconfirmed rumors about Kim Jong Un’s plans for his government. This entry was posted in DPRK and tagged He Who Smelt It Dealt It, Kim Chee, Kim Jong Un. Bookmark the permalink.